The business world is highly dependent on ideas that are unique. The more unique ideas are the better the chance of making record profits. Imagine a company like Apple. It makes more than 70% of the smartphone industry profits. This is due to its high margins. However ideas are the first thing that helps people make a lot of sales. They could be technological ideas or marketing ideas that no one has discovered. 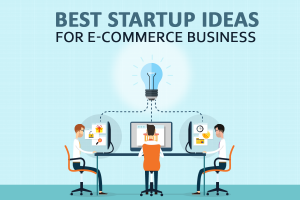 With these ideas you need to be able to develop products of considerable quality. There are many ways of protecting ideas. One of the most common ways of protecting ideas is actually looking for copyright or patents which are filled to protect inventions and creative work such as paintings technology and literature. Through this you are able to make a lot of profits. However this is not the only way to protect your ideas. Another way to protect your ideas is to make sure that they are secret. This is common with food and beverage companies. They avoid getting patents due to the fact that patents require one to disclose how they produced the new good. There is no one who has the truth of how certain products are actually made. This is due to the fact that certain companies keep it a secret. Knowing something valuable that your competitor doesn’t is a good way to protect your ideas. Once your ideas are known you will have a hard time making any profits. Always focus on ideas that are unique and unexplored. This is by far the most common way for an entity to protect their ideas. Patents are used for inventions that are unique. Copyrights are used for works of creativity.